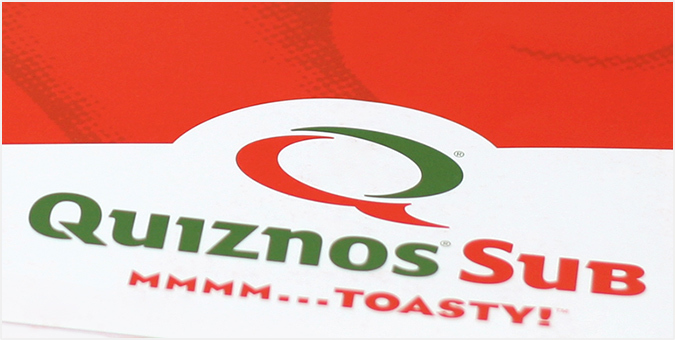 The Denver-based headquarters of Quiznos Sub Sandwich Shop wanted bold, catchy, easy-to-read marketing materials to promote its franchise program. Jake’s creative team conceived, designed and managed the printing of new Quiznos franchise materials, including a Guide to Financing Your Franchise and Franchise Owner Welcome Package. Thanks to Jake’s efforts, Quiznos’ franchise program was expanded and re-energized with a new brochure design, image advertising and freshened marketing collateral.